We all dread the very thought of finding ourselves in a situation where we’ll need an emergency locksmith’s assistance. Being Locked out of the house or car, in a dark cold night is stressful as is, and every minute can feel like an hour. In these types of scenarios you want a fast locksmith that can respond quickly! The goal is to keep frustrations down to the minimum, and can let you back inside as quickly as possible. At Safe Lock Solutions, we guarantee prompt and hassle-free service and we work hard to ensure your safety and peace of mind at all times. At Safe Lock Solutions, we take pride in the services and innovative solutions that we offer our clients. And when it comes to 24/7 emergency services, we are the fastest locksmith company in the area. No matter where you are in Liverpool, our engineers will get to you quickly! Contrary to the notion that high quality emergency services cost a fortune,at Safe Lock Solutions, we believe in fair pricing even during a crisis. Our goal is to satisfy clients and build long-term relationships in the community. 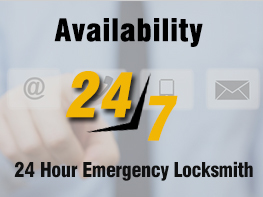 At Safe Lock Solutions, we provide emergency locksmith services with the quickest response time – be it day or night. We care about your time, and therefore we make sure to keep your wait down to the minimum. Our resourceful technicians are available 24/7. Simply give us a call 0151 515 0123 and we’ll be on our way!